Last night we had howling winds and the temperature plummeted. We woke up to 34 degrees and Randy reluctantly put his shorts away. The ability to wear shorts is Randy’s barometer of whether we are in appropriate weather zones. This morning we bundled up in three layers and gloves and took Elko out for his morning stroll. We walked down to a large rock area with a placard we had noticed earlier – but had not yet visited. Interestingly enough, we finally got an explanation about Massacre Rocks – which is missing from the park information on the Idaho Parks website and other places I looked. Maybe political correctness is at work. So, since I had given false information in the previous blog, we thought a correction was appropriate. 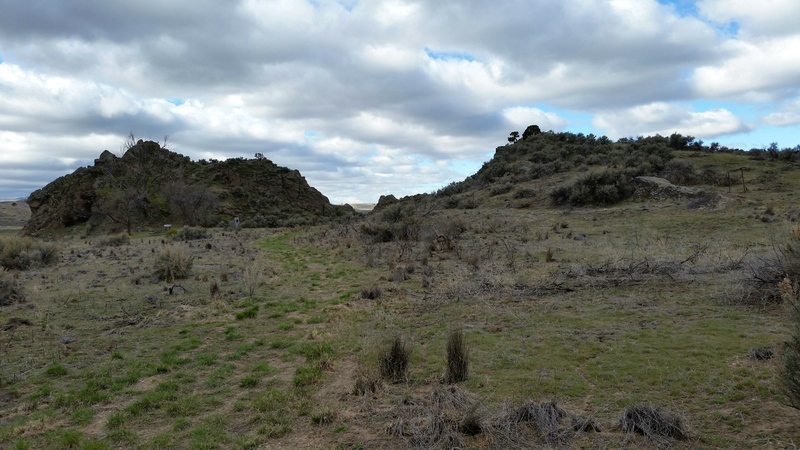 The large rock on the left is Memorial Rock to commemorate those killed in this area on 3 separate occurrences between the Oregon Trail emigrants and the Shoshone Indians from 1851 to 1862. This posted sign talks about an incident on August 10, 1862 in which nine white men were killed and six wounded. 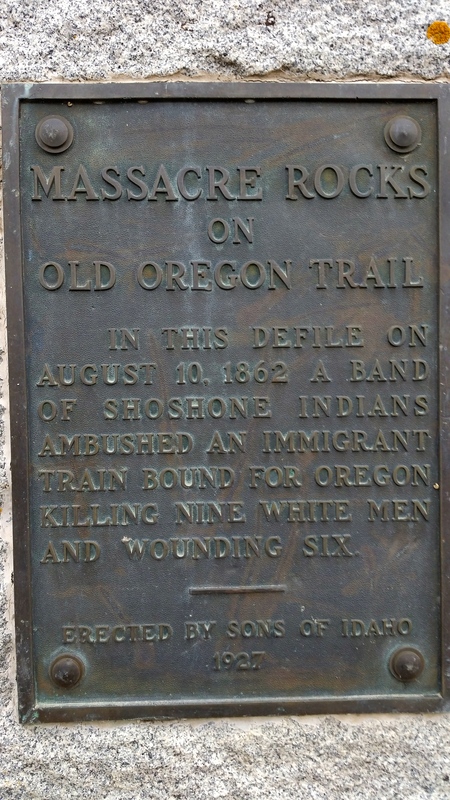 No mention of the number of Shoshone killed. It was posted in 1927. And on a cheerier note, these pictures were taken with Randy’s phone camera. 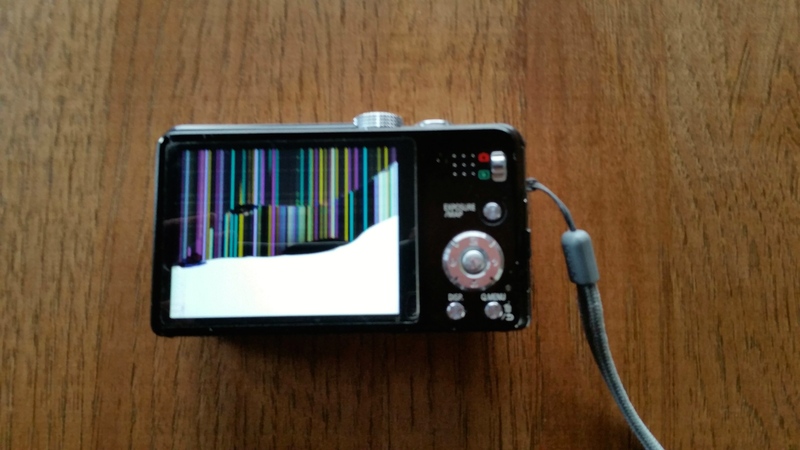 The last month’s picture taking has been a collection of his phone, my phone and our broken camera. The camera was dropped and the view screen has gradually gone away. The picture quality is better with the camera and our strategy has been to take a jillion pictures and hope some of them were capturing what we wanted it to capture. It has been the ultimate “blind” point and shoot! A new camera is on our to-do list in Boise. Signing off for now….